This is the ride i bought when i first heard about this ride. Pedals, brake levers, and wider range RD in the mail. 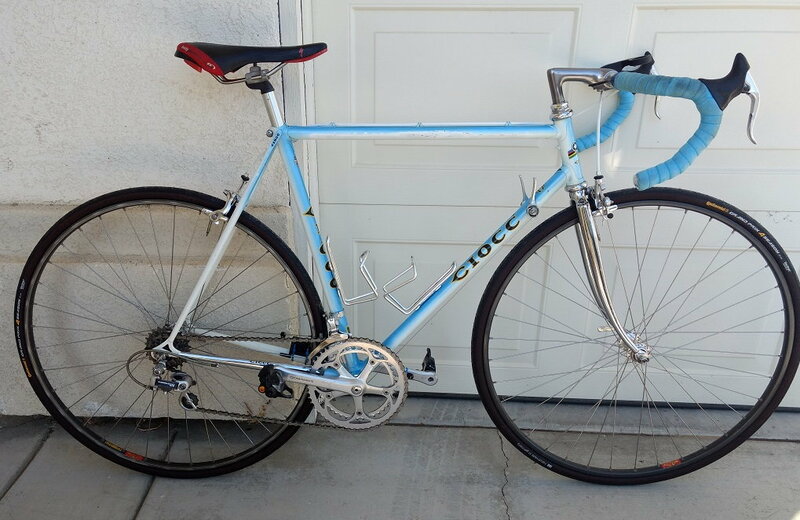 need freewheel, and more appropriate saddle, and possible leather shoes and wool jersey to make it work. Would love to find a jersey with Ciocc embroidered on it, or a period correct version of the Polish olympic team from 1980 since they rode this brand to a silver that year. Last edited by mgopack42; 10-24-18 at 04:13 PM.